Have questions about applying for the Peace Corps? Come to the International Center in HUB to make your application stand out from the rest. Attend this workshop to walk through the application process with your campus recruiter and find out what information Peace Corps needs from you. Learn about the important role your resume plays in determining your placement. You will have your questions answered and gain valuable tips to guide you through the application process. Check out http://www.peacecorps.gov for a current listing of available positions. Applications are due July 1 for spring departures. Email peacecorps@ufic.ufl.edu for more information. Founded in 1993, the International School Ho Chi Minh City (ISHCMC) is the first and most established international school in Ho Chi Minh City. ISHCMC is a non-denominational, co-educational and multi­cultural international school with over 50 nationalities represented. Teaching in the English medium, ISHCMC is certified to provide all three International Baccalaureate (IB) Programmes (Primary Years Program, Middle Years Program and the IB Diploma) for all of our students ages 2 to18 years. Academia La Providencia (Providence Academy) in Honduras still needs 2 people to come and join the La Providencia family as teachers! We are a local non-profit organization that focuses on integrating children with varying abilities through sports. We are gearing up for the start of our Summer Adaptive Gymnastics class and our Summer Camp! We are looking for volunteers that are excited to work with kids with special needs! All of our volunteers work one-on-one or two-on-one with the participating athletes. The athletes have a range of disabilities including autism, Down syndrome, ADD/ADHD, cerebral palsy and many more. During our Adaptive program the athletes will work on developing new motor skills, improve social interactions, and gain confidence! The Adaptive Program is offered from May 30th-August 1st. We will be holding two sessions every Saturday. The first class will be offered from 12:30- 1:25pm (> 8 yrs) and the second (2-8yrs) from 2:00-2:55pm. If you are not available on Saturdays, Balance 180 is also running its third annual summer camp and needs volunteers who are excited to work with children with special needs. Summer camp is a great learning experience for student volunteers. Summer camp will take place during the last three weeks in July. If interested in volunteering e-mail us at balance180adaptivegymvolunteer@gmail.com. We have a limited number of volunteer spots available so it is very important for anyone interested to contact us ASAP. Thanks! Tutors needed for UF student organization! My husband and I are looking for a student in the school of education to serve as a part time nanny. My daughter is 15 months old, and we would be looking for the student to come to our house 3-4 days a week. We are fairly flexible on the times, but most likely 8am-noon or 2-4:30pm. We are looking for someone who will create educational learning experiences for our daughter during her time at the house. I can be contacted via emai, amyaschafer11@gmail.com or phone at 727-608-3016. Florida is now a member state of the Mid-South Educational Research Association (MSERA). The association is a nonprofit incorporated educational organization whose purposes are to encourage quality educational research in the Mid-South and to promote the application of the results of quality educational research in the schools. Member states include: Alabama, Arkansas, Florida, Kentucky, Louisiana, Mississippi, and Tennessee. The Florida Association of Teacher Educators is excited to announce that the 2015 FATE conference will be taking place in Gainesville, Florida. This two-day conference will be held at the Hilton University of Florida Conference Center. We hope you will consider submitting a proposal by June 1st. The submission form is online at www.FATE1.org and the student registration fee is $50.00. Click here for more information. We hope to see you in October! Manassas City Public Schools, located in Manassas, Virginia, is holding an Instructional Job Fair for applicants who possess or are eligible for a Virginia Teaching License. Attached is a flyer and detailed instructions for applying. Interviews are by invitation only so applicants must apply on our website by Wednesday, May 20, 2015 for consideration. If you have any questions, please contact our Human Resources Department at 571-377-6027. This Reform Jewish Day School is hiring: Elementary School STEM Teacher (Grades 1-4 / see attachment for details) and Elementary School Teacher(s) K-4 (see attachment for details). If interested, please email resume or inquiries to snovak@tbam.org. 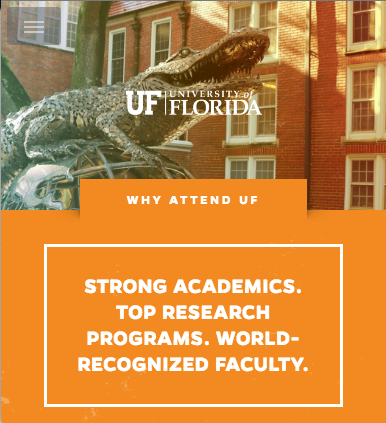 This six-week summer program sponsored by the Office of Graduate Minority Programs (OGMP) is designed as an orientation to graduate education and promotes acclimation to the University of Florida. 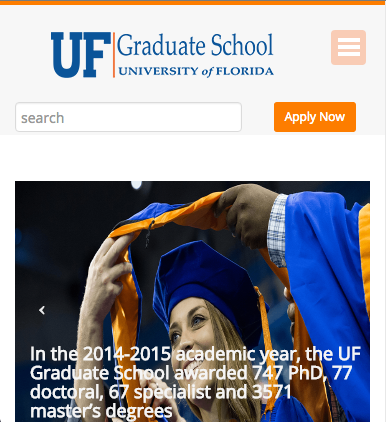 The goal of this program is to provide newly enrolled doctoral students with the groundwork for their graduate education by: (1) supplementing the student’s knowledge of the research process; (2) honing their research writing skills and (3) easing the transition into graduate level studies at the University of Florida. 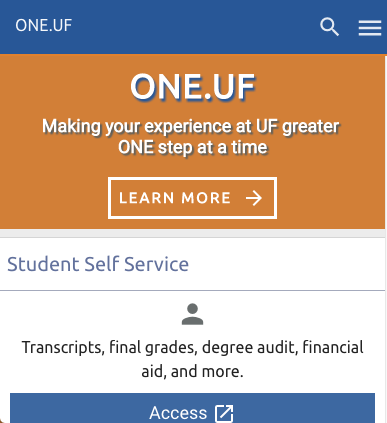 Applications and additional information on the program can be found on our website at: http://graduateschool.ufl.edu/finances-and-funding/florida-boe-summer-fellowship-program. If you have questions concerning the Board of Education (BOE) Summer Fellowship Program please contact OGMP at ogmp@ufl.edu or by phone at 352-392-6444. EDF 6403: Research Course will be offered this summer. It is the six-credit required research course for all COE doctoral students. This is a great opportunity for doctoral students to focus the summer on research and on fulfilling all research course requirements. Email the instructor, Dr. Manley, at amanley@coe.ufl.edu for additional information. EDG 6931: Schools, Teachers, and the Marginalization of Students (Summer C, Wednesday, Periods 4-6) – In this new doctoral seminar, we will examine how school and teacher policies and practices disproportionately place certain student groups on society’s margins and limit their life chances. Students will develop content knowledge and skills in research and writing. Email the instructor, Dr. Brianna Kennedy-Lewis, at bkennedy@coe.ufl.edu for additional information. EEX 7526: Seminar in Grant Writing – In this seminar, students will learn the skills necessary to solicit funding from state and federal agencies, as well as private foundations. Email the instructor, Dr. Gagnon at jgagnon@coe.ufl.edu for additional information. EEX 6936: Meta-­‐Analysis in Prevention and Intervention Science – A NEW Graduate Seminar in Meta-Analysis! This course is open to any and all graduate students interested in prevention and intervention science. Email the instructor, Dr. Gage at gagenicholas@coe.ufl.edu for additional information. The University of Florida Center for Precollegiate Education and Training (CPET) is seeking a Residential Supervisor for summer academic programs housed in Beaty Towers. Preferred applicants are graduate or post-undergrad students. Please see attachment for details. The Center has also added a number of available undergraduate positions. 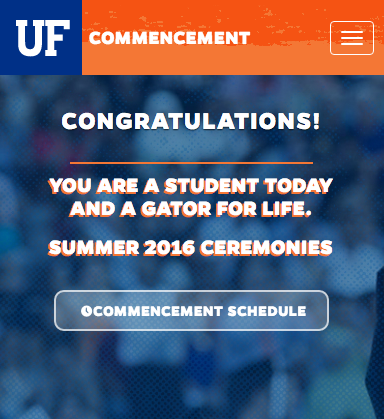 Visit http://www.cpet.ufl.edu/2015/04/summer-employment/. The City of Newberry Parks and Recreation department is looking for interns and practicum students for the summer and/or fall semester. Please see the flyer for additional details. If you are interested in this position, please email your resume and availability to Ashley Austin at Ashley.Austin@ci.newberry.fl.us. Yuteh Private School in New Taipei City, Taiwan is looking for certified teachers from the United States to work in our dual-immersion Chinese-English program. We are hiring for all grade levels and all subjects. Click here for more information. 2. Be accepted to a State of Florida accredited 2 or 4 year educational institution, excluding State College of Florida Manatee-Sarasota and the University of South Florida. 3. Be a resident of Manatee County. Scholarship application is located here. For questions or to inquire about the extended deadline, please contact Scholarship Coordinator Joan McCaw at (941) 747-7765 or email joan@manateecf.org. The University of Florida Center for Precollegiate Education and Training (CPET) is seeking summer residential counselors for the following: 1. Male and female counselors for week-long high school summer academic programs, including Humanities and the Sunshine State, Science Quest (two sessions), and STEAM Quest. Counselors will be hired for the entire summer and work with all programs. and 2. Male counselors for the 57th Annual Student Science Training Program (SSTP). Additional information on the CPET summer programs can be found at http://www.cpet.ufl.edu/students/. Qualifications: Applicants must have completed at least two years of college and be in good standing with their college or university. Recent college graduates and students in graduate/professional school are also encouraged to apply. Applicants may not be enrolled in summer classes as the available positions are full time. Applicants must be able to commit to working 24-hours a day for the duration of the program (including overnight). Counselors will be hired for a 7 week to 11 week period. Please see the attachment for additional information. Contact Christy Rodkin, Coordinator, Youth Programs at christy@cpet.ufl.edu or 352-392-2310. Applications will be open until all positions are filled. Marion County Public Schools, just 30 miles south of UF, wants you in its next class of new teacher hires! If you are ready to work with excited administrators and focused students in one of Central Florida’s most beautiful areas, join us for a Teacher Recruitment Fair on Friday and Saturday, May 15 & 16. Interviews could lead to instant job offers for the right candidates. With local discounts and free giveaways, don’t miss this opportunity to land your first teaching job. Click here for requirements and interview sign-ups. Get ahead of the game (and your colleagues) by signing up today. Marion County Public Schools offers competitive salaries and great benefits including free health insurance, affordable living, and first-class lifestyles. MCPS is an equal opportunity school district. Looking for some extra income? Consider working for Holy Trinity Episcopal School of Gainesville. Visit our website at www.htesgnv.org to learn more about our preschool. If you’re interested in becoming a substitute or part-time preschool teacher, please send you’re resume and availability to Jason@htesgnv.org. Pay is hourly and based on work experience and level of education. Faculty member in the UF Sociology Department has a newly built cottage in the Duckpond neighborhood (see photo). Looking for help with an 11 year old and around the house for reduced rent. For more information, please contact Christine Overdevest at coverdev@ufl.edu. UF faculty member looking to hire a reliable person to help during late afternoon/evening 2-3 days a week during from May through late July. Additional babysitting opportunities on weekends and for fall semester. Duties include picking up my 8-yr old girl and 5-yr old boy from school/camp/daycare and driving them to sports activities or to home and help with light housework at home (emptying dishwasher, making lunches for next day). My children love outdoor activities and having someone to play games or read a book with. Prior experience as a babysitter/nanny required along with at least one reference. Experience providing transportation for children is a bonus. Contact Andrea at adlambeck@gmail.com if interested. Opportunity for recent graduates of teacher certification programs: Wellington, Florida hosts the Winter Equestrian Festival from January to late March every year. During these three months, adolescents from around the country and the world come here to showcase their talents. Students miss as much as 12 weeks of school while they compete at WEF and require private tutoring to keep up with their academics from their respective schools. Upper Echelon Academy is looking to hire qualified tutors for January, February, and March of 2016. Successful candidates will receive a monthly salary of $4,000 that will include their accommodation and is based on a 30 hour week. Tutors work Monday-Thursday with every Friday, Saturday and Sunday off. It is imperative that applicants have a valid driver’s license and a mode of transportation. Please visit www.upperechelonacademy.com. For questions about this exciting opportunity, please contact (561) 371-4330. Our family is looking for a nanny between now and the start of the next school year to care for our 2-year-old son at our home in the mornings, 8am-1pm. During summer we’ll also have our 6-yr-old twins and our 8-yr-old at home on some weeks, when not in camps. The older children are pretty independent but need only basic supervision while parents are at work. Responsibilities for the youngest one include potty training, engaging him with music/toys/dancing/speaking with him, as well as some light household upkeep (dishes, folding and putting away children’s laundry). Please contact mtrklja@yahoo.com or call 352-871-5211. SUMMER NANNY NEEDED: We are searching for an energetic and unflappable nanny for our two young boys, ages 6 and 4. If you love kids, are silly and fun, patient and kind, and can problem solve on your feet, then this is the job for you! We live in High Springs, a 20 minute drive north of Oaks Mall, 5 miles west of I-75. Nearby is a park, train, library, and splash pad, plus we have a fantastic backyard full of critters to explore. The boys are sweet-natured and super-creative and will love your attention. Outdoor play is encouraged as well as quiet cuddles and story time on the couch. They also love Lego’s, imaginative games and scavenger hunts.Occasionally, we ask for your help with a load of kids laundry and we ask that our home be picked up at the end of the day. We are a laid-back family so ask any question and feel free to chat with us about anything. Please be comfortable with pets and have experience as a nanny as well as experience providing transportation for children. We need help 2x per week, ideally Tuesdays and Thursdays, starting May 1st, although Mondays and Fridays are also an option. Typically 9 – 3 or 10 – 4. Pay $12/hour. Thanks in advance and we can’t wait to meet you! Contact Kate @ kate@kathleenbyars.com. Reading and writing tutoring help for 2nd and 5th Grader for summer in Jonesville area. Twice a week. Please email Pradeep Jain at prepjain@gmail.com for more details. UF faculty member looking to hire highly motivated and reliable person to help with their 5 years old daughter. Tasks will include picking her up from a kindergarten (on Mon, Wed, Thursday & some Friday) and stay with her until 5:30pm (help with homework, grocery and light household chores). Must have own transportation and good driving record. Spanish speaking or extra talent to share with our daughter is a plus. Long term commitment is desired. If interested, there will also be additional babysitting opportunities in the evening and weekend also. Contact phalyka@ufl.edu if interested. The Office of Planning, Research and Evaluation (OPRE) in the Administration for Children and Families intends to award up to three grants to support dissertation research on healthy marriage/responsible fatherhood policy issues (HMRF). These grants are meant to build capacity in the research field to focus research on questions that have direct implications for HMRF policy decision-making and program administration, and to foster mentoring relationships between faculty members and high-quality doctoral students. These grants are intended to address issues of significance to inform policy decisions and solutions, particularly for underserved/understudied populations (e.g., low-income families, minority populations), utilize rigorous research methodology (both primary data collection and secondary data analysis), and help inform the development of future intervention research. Applicants may apply for project periods up to 24 months with two 12-month budget periods. Up to $25,000 may be awarded for each budget period. Letters of intent are due by May 8, 2015 and applications are due by June 8, 2015.